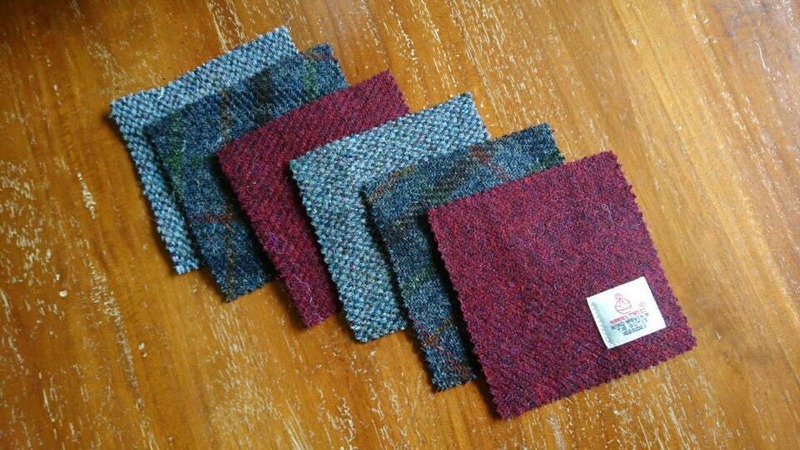 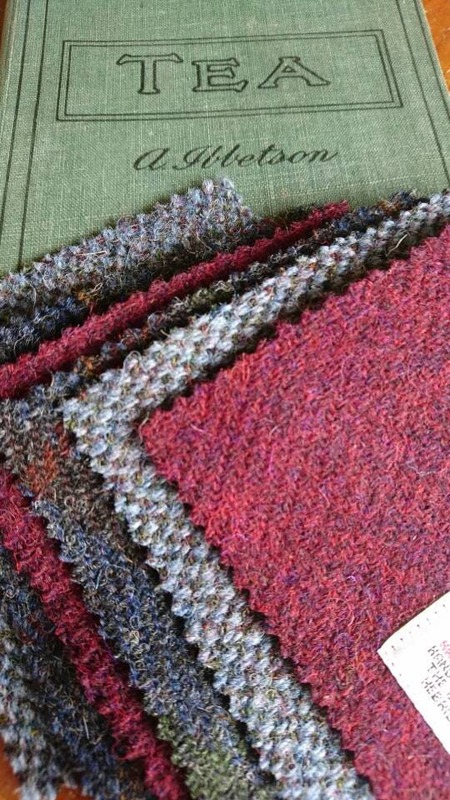 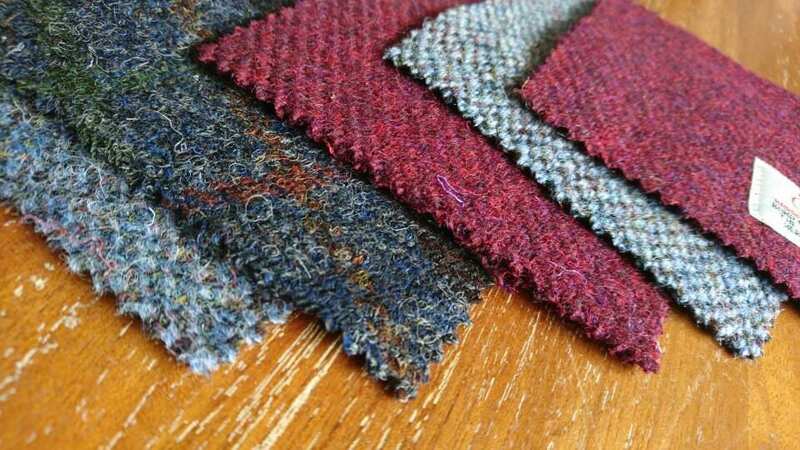 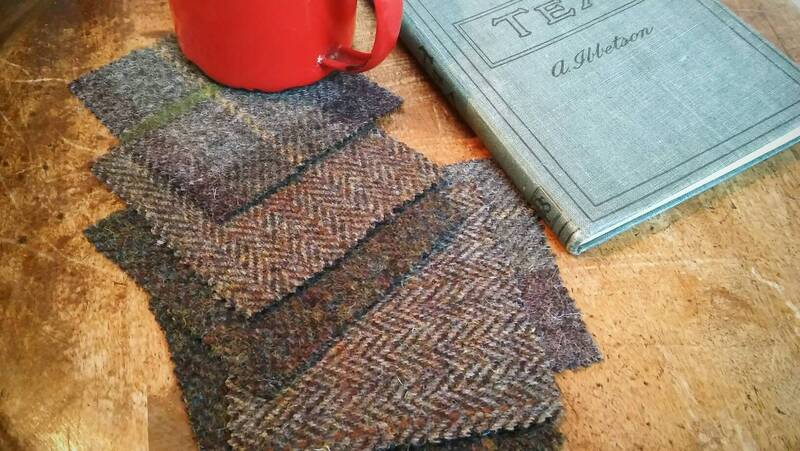 Set of six Harris Tweed coasters. 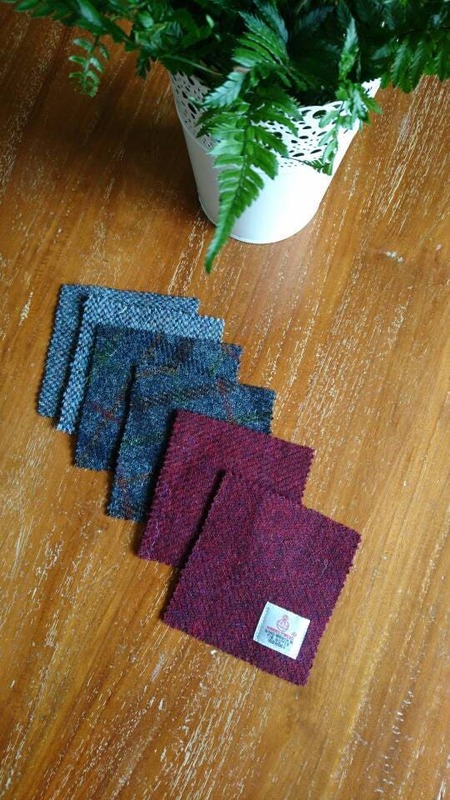 Colours and patterns vary in each set. 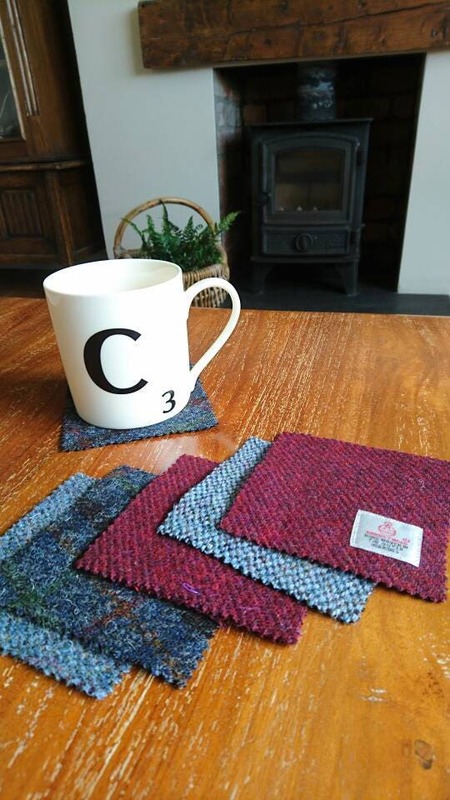 They are single layer, frayed edge 4 inch square coasters.